Diet: Carnivore; deer, small mammals, birds etc. Lifespan: 8-13 years in the wild 20+ years in captivity. Range/Habitat: North and central South America forest, brush, rocky and open areas. 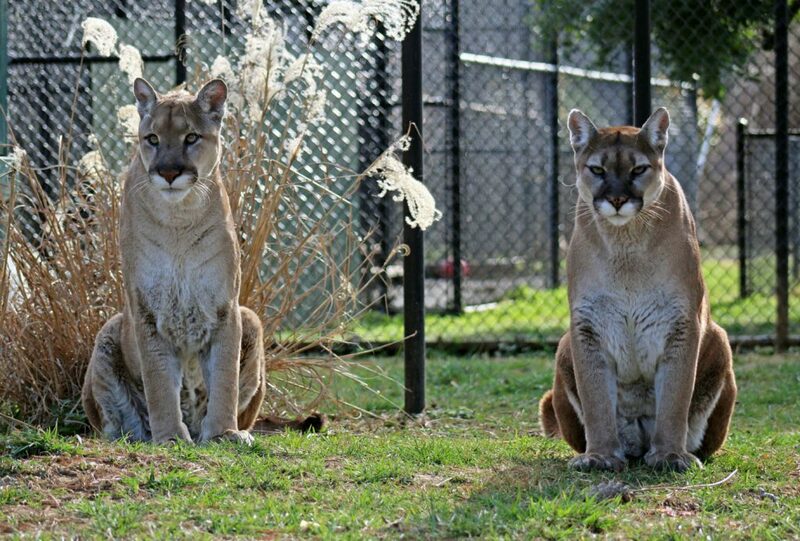 This large solitary cat of the Americas is fourth heaviest in the world with males weighing 110-200 pounds and females 65-150 depending on the subspecies. 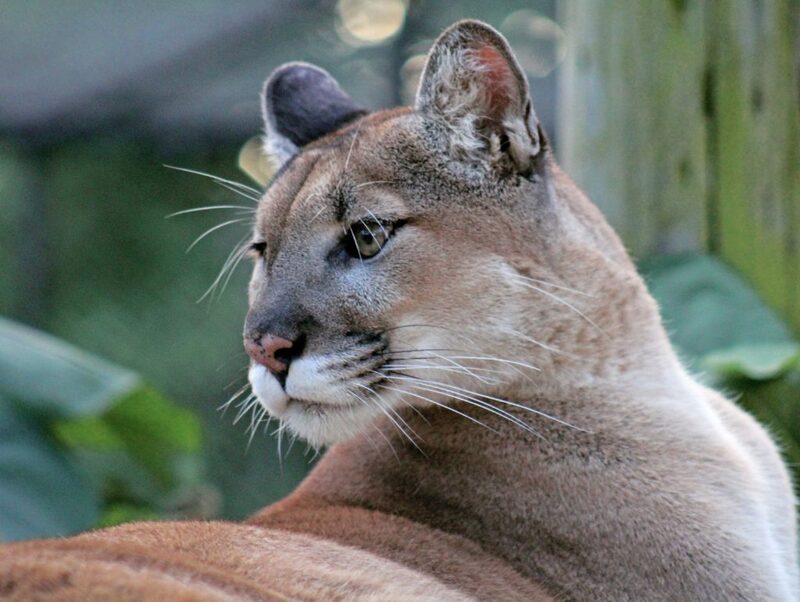 Larger cats live in the more northern habitats while smaller cats live further south. 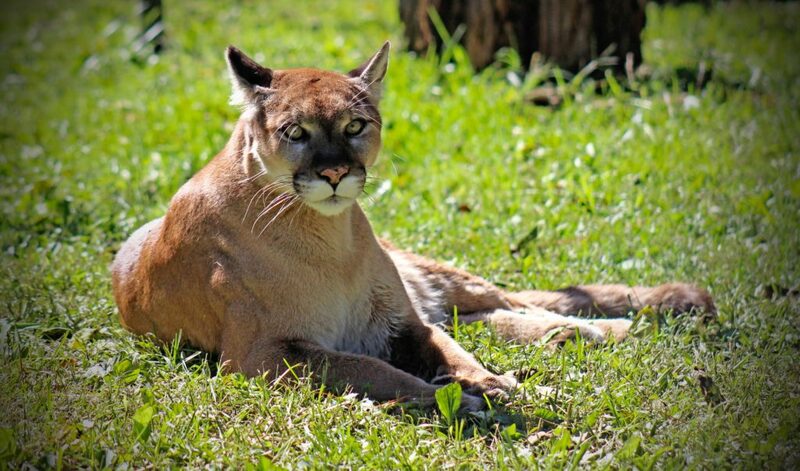 Mountain lions lack the ability to roar but instead make chirping noises and can even purr like a domestic cat. These big cats are solitary and have large territories covering up to 300 sq. miles. Attacks on humans is rare but may occur where human encroachment on the habitat has driven prey species away.